How does a Harvard-trained physician find himself as Eventide’s Chief Investment Officer? 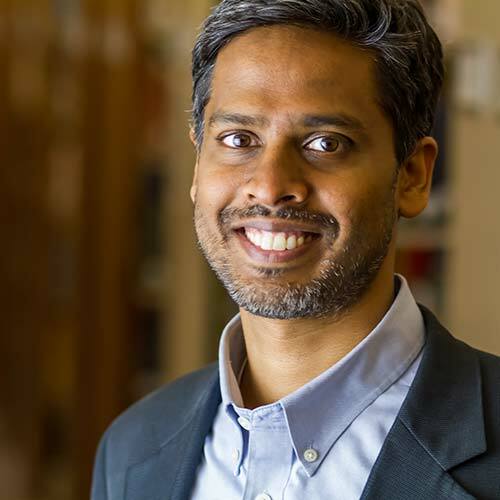 Hear the story of Eventide’s beginnings from Eventide CIO, Finny Kuruvilla, MD PhD. I was doing an MD-PhD program at Harvard Med school. As part of the MD-PhD program, I received a stipend. It was roughly $10,000 a year. Not a lot of money, but I was single at the time, and didn't have a lot of expenditures, and so I was able to save a portion of that. I looked at a number of mutual funds, and what I found was that as you look at the top 10 holdings of a mutual fund, which you can see when you get the glossy literature for it, or when you go online, I could see the top 10 holdings, and I could see that these top 10 holdings were not companies that I felt comfortable owning because of my values, because of my own faith. I could not bring myself to invest in these companies. My roommate at the time, he was doing his PhD in economics at Harvard, and he advised me to learn how to invest myself, and so he gave me a few books, one of which was by Peter Lynch, and I devoured the book. I thought it was absolutely fascinating, and decided to use what I learned from Peter Lynch, who I still consider as a mentor of mine, and implement that in investing. We created Eventide to open up this space in investment management where real discernment takes place around ownership and the common good, and to make a way to invest in companies that create value. We believe this is a tremendous opportunity for you as a financial advisor to offer to your clients companies that they can be proud to talk about, companies that are harmonious with their values. This also provides you with the opportunities to make recommendations that you could be proud to talk about. We believe it's very important for you as a financial advisor to have conviction around what you own, so that you can be proud of what you're doing, and you can look yourself in the mirror and be glad that you are advancing the global common good, advancing your own values with what you're doing day in and day out.